The Hawaiian Studies Department and Hawaiian Language Club of Windward Community College held a makahiki event Thursday to honor the Hawaiian god Lono and the coming of the rainy season. 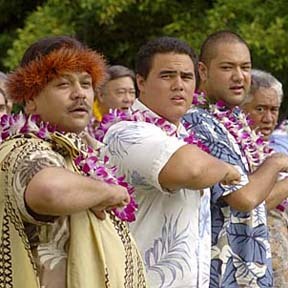 Kumu Steven Helela, front, leads his class in a chant during the ceremony. In recent years a number of people have been reviving the observance of makahiki.